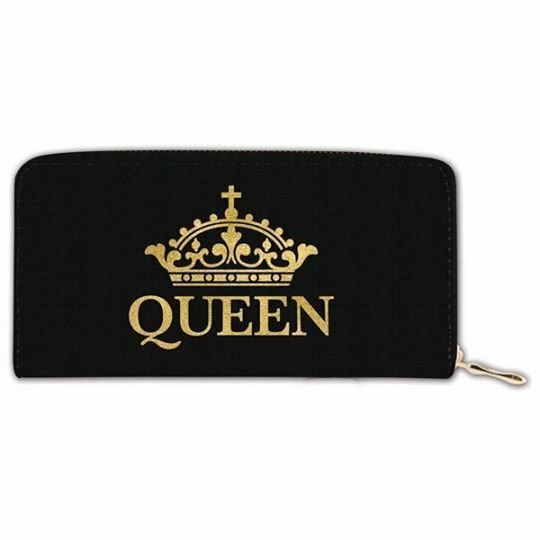 A gorgeous and practical women's wallet fit for a Queen! Beautifully contrasted against a deep black leather-like material, are elegant gold writing and a crown that would make Queen Elizabeth jealous. Travel in style with our vibrant cosmetic duo set!